Helena is the Talent Development Officer at the Hewlett Foundation. She oversees professional development and growth opportunities for Hewlett employees, and supports the learning culture at the foundation. Areas of staff development include leadership, management, interpersonal skills, cultural competency, career development, coaching, and other professional development areas. Helena started her career as a mental health therapist and progressively moved into roles that focused more and more on developing people in the workplace. Prior to joining the foundation, she served as the head of human resources and operations for City Year San Jose, and supported leadership development programs at The Walt Disney Company. She enjoys engaging people in meaningful work and curating dynamic learning environments that support sustained growth. 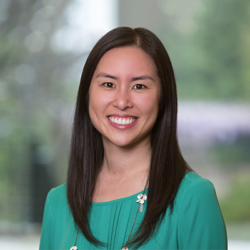 Helena is a Bay Area native and holds a master’s degree in psychological counseling from Teachers College, Columbia University, and bachelor’s degrees with honors in psychology and English from the University of Southern California.